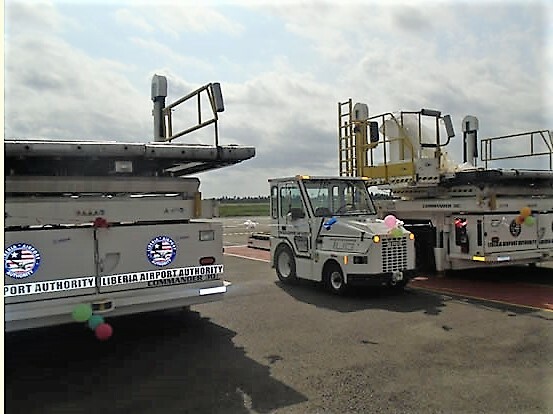 Airport Ground Support Equipment for ROB Liberia - American Procurement Services, LLC. 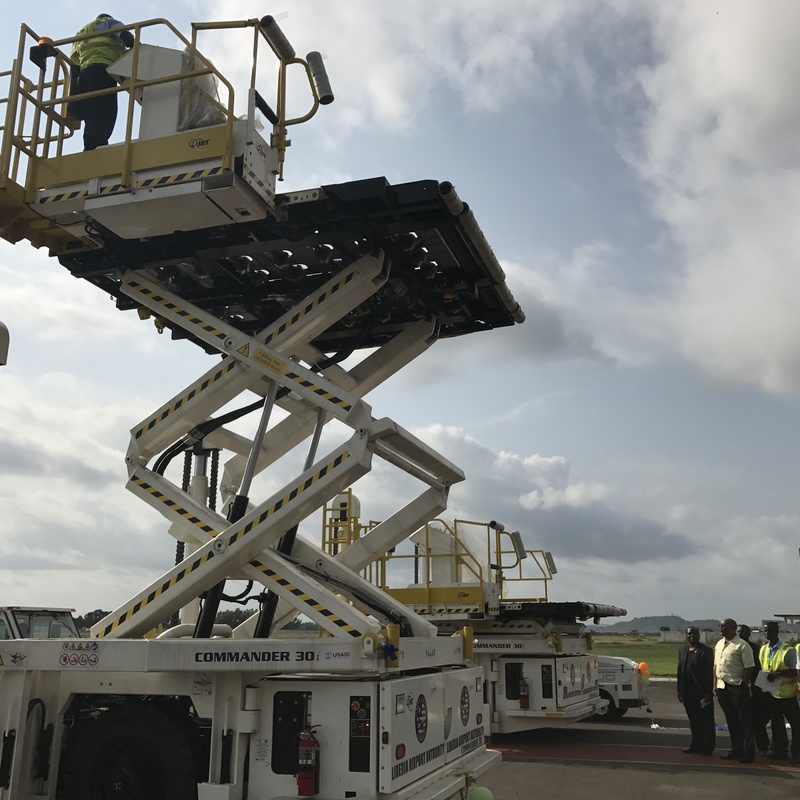 Early 2017 American Procurement Services (APSCO) was awarded a contract to supply and deliver Airport Ground Support Equipment for Robert International Airport in Liberia. Corollary to this were the installation, Commissioning and training of the end-user’s operators and technicians. This contract was funded by USAID – Liberia. 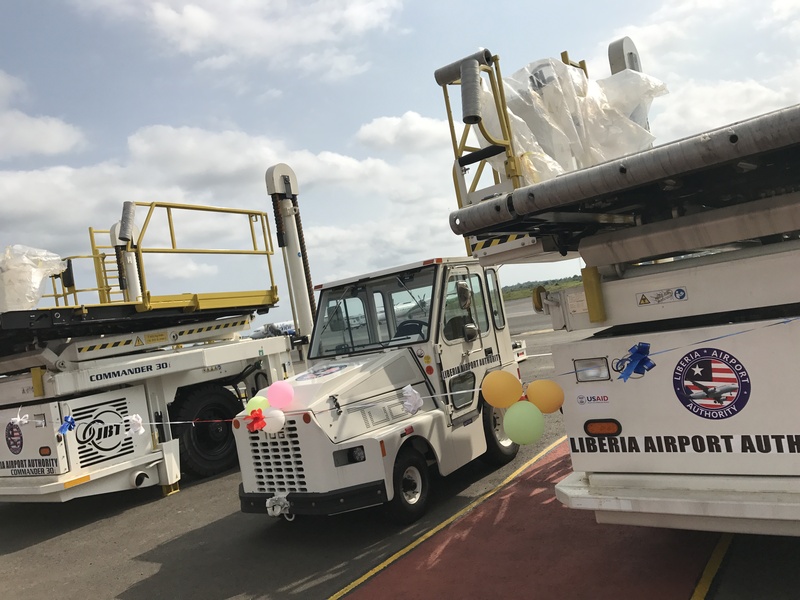 The USAID Mission expressed the urgency to supply and deliver the Airport Ground Support Equipment to RIA since their previous efforts and several attempts to acquire the equipment through regular acquisition processes were futile leading to significant delays in the procurement process for the Mission. Upon receipt of the award, APSCO negotiated with three manufacturing partners to have the equipment manufactured and shipped to Monrovia within four months. This was an unprecedented challenge because the highly technical equipment has a standard production lead time of at least six months to one year, exclusive of transit time. The equipment came from three factories located in different regions in the US. They were consolidated and shipped within 90 days of receiving the award from USAID-Liberia. APSCO’s management took extreme caution in packaging the equipment to ensure that all the goods were safe while in transit, but also to have the equipment ready for use with little assembly when they arrive in Monrovia. APSCO’s Management’s extensive experience with Liberia Customs clearing processes allowed them to cleare the equipment through Liberia’s customs within one week of receiving the Notice of Arrival. APSCO’s team also coordinated the shipping time precisely with the arrival of their factory engineers, so that once the goods were cleared and delivered to Roberts International Airport, they were quickly ready for use. Airport personnel were trained in operation and maintenance of the equipment within days of arrival. 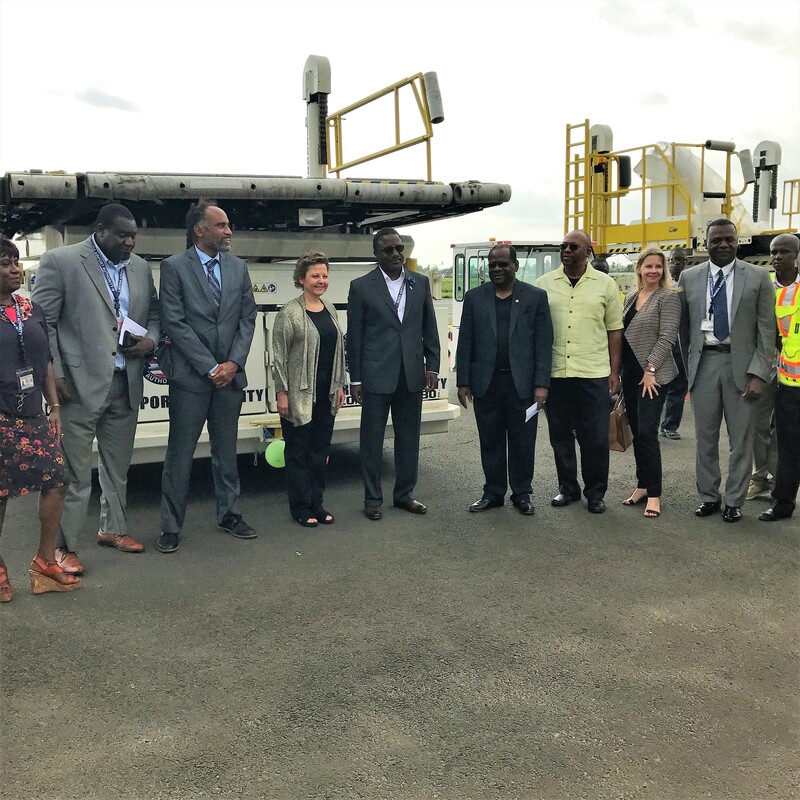 In early August 2017, American Procurement Services was commended for their successful execution of the contract leading to timely supply and delivery of the Airport Ground Equipment to Liberia. Both the Deputy Mission Directors of USAID and the US Ambassador to Liberia, Her Excellency Christine Elder, commended APSCO for their timely execution of the contract. 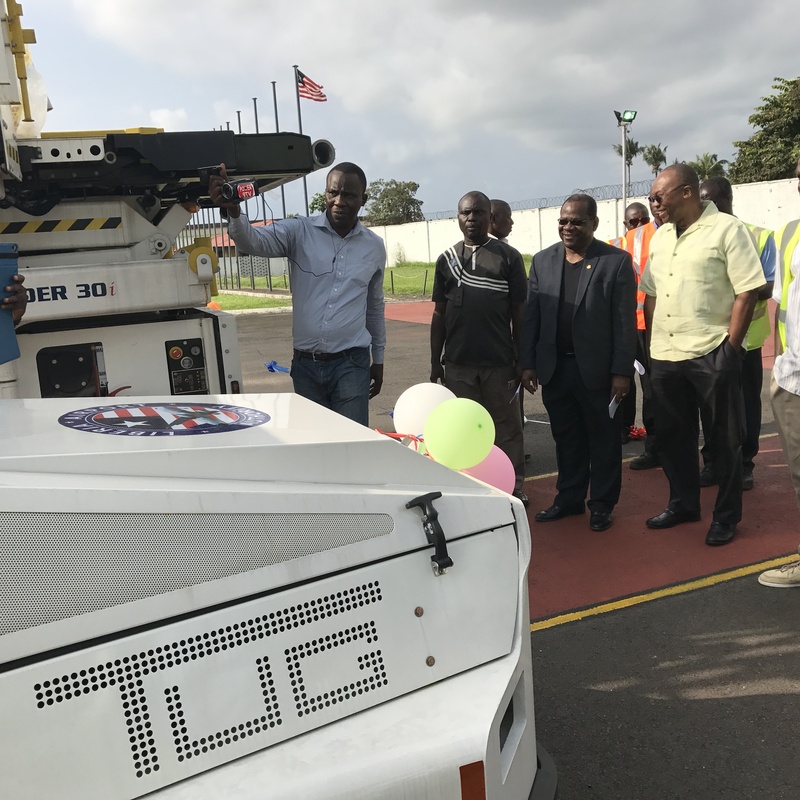 The RIA management expressed appreciation to APSCO for successful implementation of training and commissioning of their staff that they were able to demonstrate the use of the equipment at the turnover ceremony at RIA in Monrovia.